We’d love your help. Let us know what’s wrong with this preview of Snow Blood by Carol McKibben. Episode 5: Battle continues the adventures of the first vampire and his kindred dog! The sinister plot to destroy Brogio and Snow Blood comes to a crescendo as they fight the wrath of the gods intent on destroying them. The cards are finally being unfolded, and the game of shadows surrounding the scheme is finally being revealed, bit by bit. 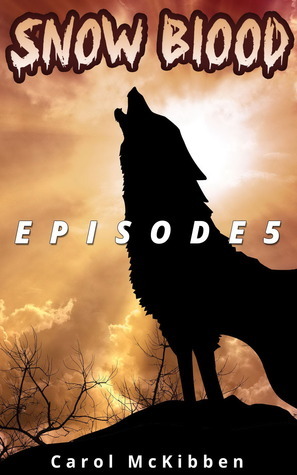 Artemis is faced with Apollo's j Episode 5: Battle continues the adventures of the first vampire and his kindred dog! To ask other readers questions about Snow Blood, please sign up. Carol currently writes from the heart of a dog's eyes. Often telling her stories to Laberdoodles, Basset Hounds and any stray that ha Carol McKibben was a magazine publisher for more than 20 years. She began a new career in freelance writing and editing in 2007. As well as editing other authors’ works to realize their dreams, she has completed Luke’s Tale and published a memoir, Riding Through It.